The Fortress hotel in Galle, Sri Lanka, is charging $14,500 a serving of the world’s most expensive pudding, which is called “The Fortress Stilt Fisherman Indulgence”. Hasty pudding, originally a British dish, this pudding could be made on very short notice. Ingredients vary, but it was basically a sweetened porridge made from flour, tapioca or oatmeal and milk. The term originated in the late 16th century. In Colonial America cornmeal was cheaper and more readily available, so here, Hasty Pudding was a cornmeal mush (cornmeal added to boiling water and cooked) with molasses, honey, brown sugar or maple syrup and milk. There are both savory and dessert versions of this dish. Meat pudding would be a savory example of a pudding dish. 1934 R.I.P.David Wesson. An American chemist who developed a method to make cotton seed oil edible. Cotton seed oil has almost no taste, so it allows the flavors of other foods to come through. It is used in the manufacture of margarine, salad dressings, in commercially fried foods, and of course, Wesson Oil. I have finally made my very first vanilla pudding. Thanks for inspiration. It turn out delicious! Vanilla .. where is should be … in some kind of food. Not in soaps and candles. 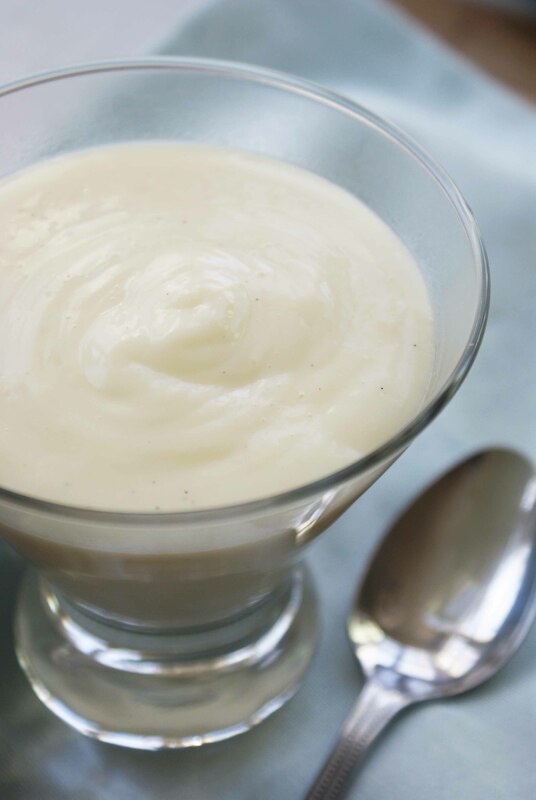 Vanilla pudding. One of my fave comfort foods.